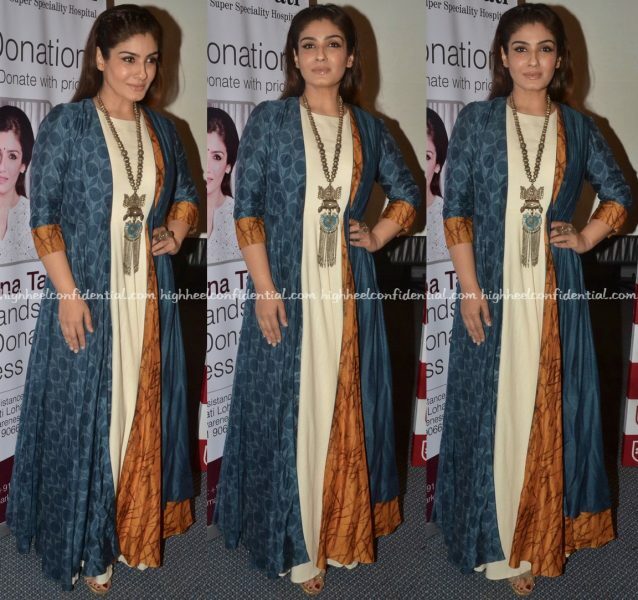 For her appearance at a hospital for an organ donation awareness event, Raveena picked a Label Anushree dress. Wearing her hair down and slicked back, she finished out the look with a chunky silver necklace from Apala. 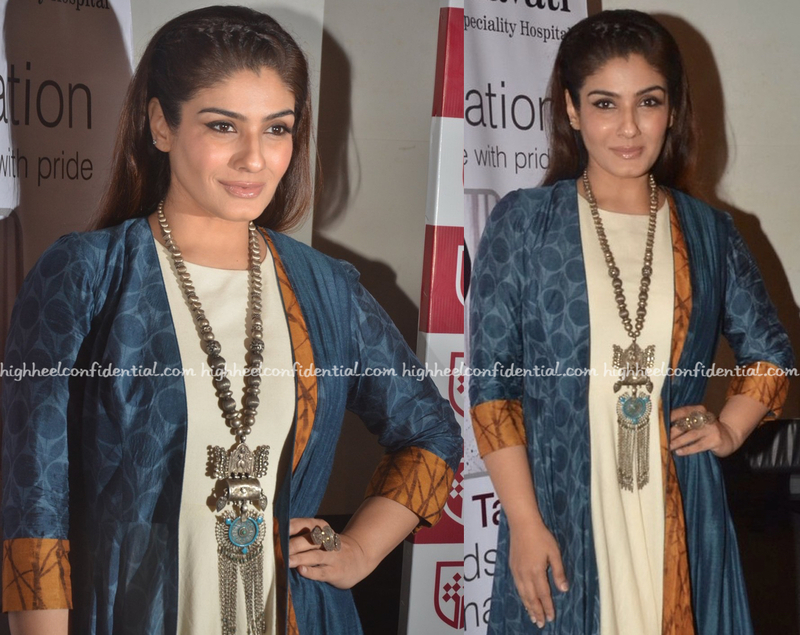 Ms. Tandon looked nice (even if the look was a tad excessive for the event in question).